Caskett. . HD Wallpaper and background images in the Caskett club tagged: castle caskett beckett. 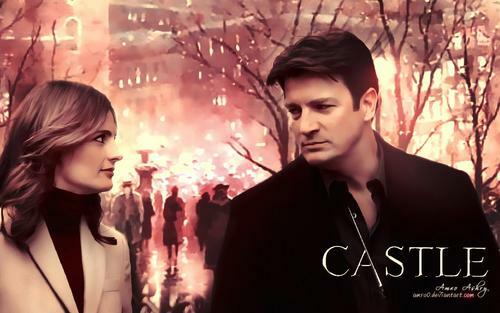 This Caskett wallpaper contains 肖像画, ヘッドショット, クローズアップ, ポートレート, ヘッド ショット, and クローズ アップ. There might also be 身なりの人, スーツ, パンツスーツ, よく服を着た人, パンツ スーツ, スーツ, and ビジネス スーツ. Wow! Absolutely fantastic! This may be well be my favorite piece by you, Amro. Yes it is Amro's stunning work! Oh your so talented my dear friend. U deserve the complements!